I can't wait to see what happens in this installment! I've heard fabulous things about it and hope it lives up! One of my very close blogging friends actually mentioned this in a comment to one of my reviews and said it was similar to another book I liked and after checking out all the fantastic reviews, I knew I had to get my hands on this one. Plus, the cover is gorgeous! I have to be honest, I kind of picked this one up because of the cover. *sheepishly hides* But, the synopsis and reviews look very promising, so I hope I'll enjoy this one. While you're here, why not enter my giveaway and enter for a chance to win a pre-ordered book of your choice? I really liked The Scorpio Races despite not being a fan of the Shiver series, I think they couldn't be more different. Scorpio Races is very subtle, especially the romance. I actually wasn't a fan of Burn Bright and still haven't managed to finish Wander Dust, but look forward to hearing what you think. Ooh and I just read two reviews for Something Strange and Deadly and I'm frothing at the mouth to read it now. So no doubt you'll send me into cardiac arrest if you love it. ENDLESSLY! I keep forgetting that is out. Loved the first two, so I can't wait to see how it ends. Oh goodness, I LOVE Catastrophic History and The Scorpio Races!! <3 Both are fave reads. I'm a big fan of Maggie's work and TSR is probably my favourite so far. Fingers crossed she's to your taste! And weee! Burn Bright! Aussie love <3 That was SUCH a fascinating and unique read. You have a lot of delicious reading ahead of you, m'dear, so... *pushes you toward a comfy corner with your pile of books* GET READING. I WANT REVIEWS. ASAP. Or, you know, whenever you can bust them out. Enjoy! I loved the first two as well, so I'm really excited to see how the trilogy ends. I'm so glad to hear that you love Catastrophic History and Scorpio Races! 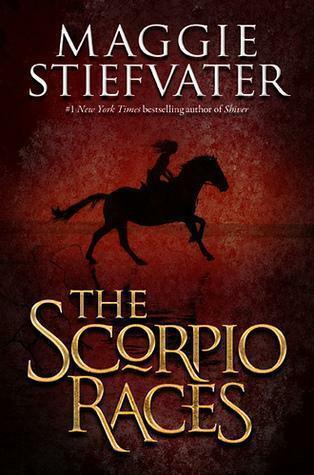 I've been so wary of her novels, so I'm hoping I like Scorpio Races too! If I said I was only a little bit jealous of your mailbox, I would be lying! 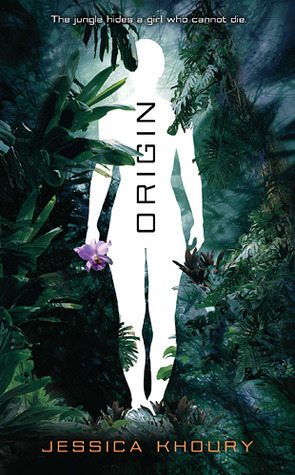 ;) I am totally dying to read Origin- that one looks SO amazingly good. I've seen some great reviews for Something Strange and Deadly, so I will definitely be keeping an eye out for your review! =) I'm also super excited to read Endlessly- I definitely need to get my hands on a copy of that one! And I really loved The Catastrophic History of You and Me [I think I was the one that recommended that one to you when I commented, but I'm not sure... ;)]. Nonetheless, it's such a fabulous contemporary read, and definitely on my favorites shelf! Fabulous haul Keertana! <3 Enjoy all those fabulous books! Eeeeh, you got some fantastic books this week, Keertana! 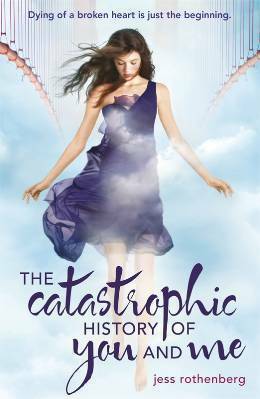 I've heard wonderful things about, basically, all of them, and The Catastrophic History of You and Me is SO great. It's a unique novel *-* I hope you enjoy your new books (and I'm a little jealous of the fact that you got Origin. This book sounds pretty promising as well, and come on, it's set in Brazil's biggest jungle!). Awww, you have Origin! How amazing :) Thanks for stopping by my blog earlier. Great books! Haha, I'd pick up Wanderdust just based on the cover as well. It's so pretty! Wander Dust and Endlessly have been on my TBR list since forever :) Great haul! Thanks for stopping by my blog today! New follower! Thanks for stopping by Book Cover Justice, I'm a new follower! Thanks Tiffany! (: I'm hoping Scorpio Races is good! I've heard a lot of positive things about it, especially in comparison to the Wolves of Mercy Falls Series, so I'm excited to see what the hype around Maggie's novels are! You got Origin, I'm so deadly jealous. You got so many great books! Burn Bright is really calling my attention! I'm loving that cover, and am now going to have to look into that one. I really enjoyed Something Strange and Deadly! I hope you do too! Thanks for stopping by! I am so going to start reading Something Strange and Deadly soon! I'm reading Something Strange and Deadly now...I may be the only person who isn't wild about it. Not that I think it's horrible- it's actually good. But I was expecting more, I guess. I'm over 50% through, so maybe the last part of the book will pick up and I'll love it. I'm reading Endlessly right now too. That I do really like. I can't believe I've never heard of Wander Dust even though it sounds really interesting- plus, I agree, I love the cover. Can't believe I didn't add it to the TBR just based on the cover. Awesome haul this week! I have already added a few of them to my TBR list. Great haul, Keertana! I also have Wander Dust- I've been meaning to read it, but keep putting it off for whatever reason. :S The cover is gorgeous though, partially the reason why I bought it! I wasn't initally planning to read Something Strange and Deadly, but your five star rating definitely convinced me! Plus, zombies? Steampunk? A kick-arse protagonist? Yessss. Thank you for sharing and enjoy your goodies! 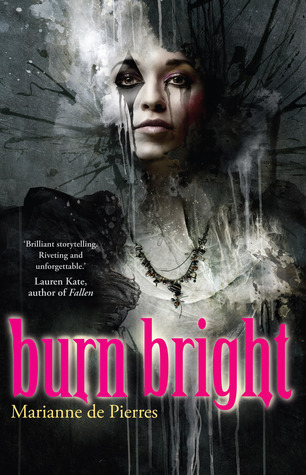 I hope you enjoy Burn Bright, I did and I have plans to read book 2 soon! Yay for The Scorpio Races, I think you are going to like Maggie's books! 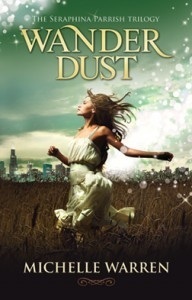 And I love buying books for the covers too, Wander Dust looks gorgeous so I hope the story inside is just as good. I absolutely adore Maggie Steifvaters writing! I can't believe you haven't read one of her books before that is blaspheme lol I really hope you enjoy The Scorpio Races it is one of my favorites. Ohh Origin sounds really cool and interesting! I haven't really heard of the others but will check them out on goodreads! 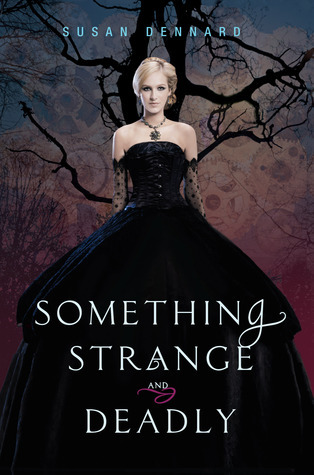 I hope you enjoy SOMETHING STRANGE AND DEADLY, because it was a great book in my opinion. :) I can't wait to hear what you think about the rest! Thanks for stopping by my blog, and enjoy all your wonderful books! Endlessly was a great end to the fantastic trilogy!! Enjoy! I haven't read any of Maggie's books either, but I do own a few. I haven't started the Wolves books either because they aren't my typical read and I need to be in the mood for paranormal. I'll get to them eventually though! Excellent book haul these week :) Thanks for stopping by Book Cover Justice, I'm a new follower!